Why doesn't Sasuke use Shadow clones? In one episode, when young Naruto and Sasuke were to fight each other in a duel guided by Iruka Sensei, Sasuke was able to create his shadow clone easily. Also, according to How Itachi was able to use Shadow clone?, Shadow clone Jutsu is not imposed by any bloodline limits. So why does Sasuke did not use this useful technique in any of his fights? And why neither of Naruto's friends from Team 11 seems to interest in learning this jutsu? Naruto has showcased in his most fights that Shadow clone jutsu can be very useful. Sure many Ninja must have felt intrigued to learn it? Can Sasuke use the Shadow Clone Justu? Sure he can! However, he chooses not to because he does not want to associate himself with using Naruto's signature justu, which he sees as Naruto's weakness and coping method to his loneliness. The Shadow Clone technique is useful for distracting opponents, but as a downside it divides chakra amongst the clones. Naruto is a ninja who attacks without a concrete plan, so the technique helps him in his foolishness. Sasuke, on the other hand, thinks before fighting, and doesn't have the chakra reserve that Naruto has (provided by Kurama). So, my guess is more chakra related. I think it is due to the part of shadow clone training that kinda gets forgotten with the knowledge transfer. I'm talking about how not only do you get the knowledge of the clone when it disperses, but you also get the clones fatigue. Sure you can make 9 clones and train for 1 hour then disperse them and get the knowledge benefit of training for 10 hours, but you also get the sudden fatigue of doing 10 hours worth of work in under 1 hour. Naruto has extremely fast healing and a lot of stamina/chakra due to Kurama and his own natural ability (son of Minato and reincarnation of Ashura), but even he passed out from having too many clones just cutting 1 leaf in their hand then disperse (Shippuden ep. 73). Due to the fatigue transfer, I think Sasuke may have been worried that it would affect the lifespan of his eyes before he got the Eternal Mangekyo Sharingan. Afterward, I think he just felt he didn't need the technique, plus he associated it with Naruto and his fear of loneliness. With Kakashi, he just uses so many chakra techniques and would copy techniques on the fly, so it was almost always a better move to keep his chakra pool as large as possible to be able to use whatever technique he would need, and he doesn't have the chakra or stamina of either adult Sasuke or Naruto. Could Naruto's shadow clones transport jutsu? Why was the Sharingan's genjutsu ability not used much in the 4th Ninja War? Why doesn't Naruto possess any of his clan's specific jutsu? Why doesn't Sasuke use his Sharingan to learn Naruto's Rasengan? Is there a difference between Clones and Shadow Clones? Do shadow clones copy user's injury? Are there other ways of reading the Uchiha Tablet? 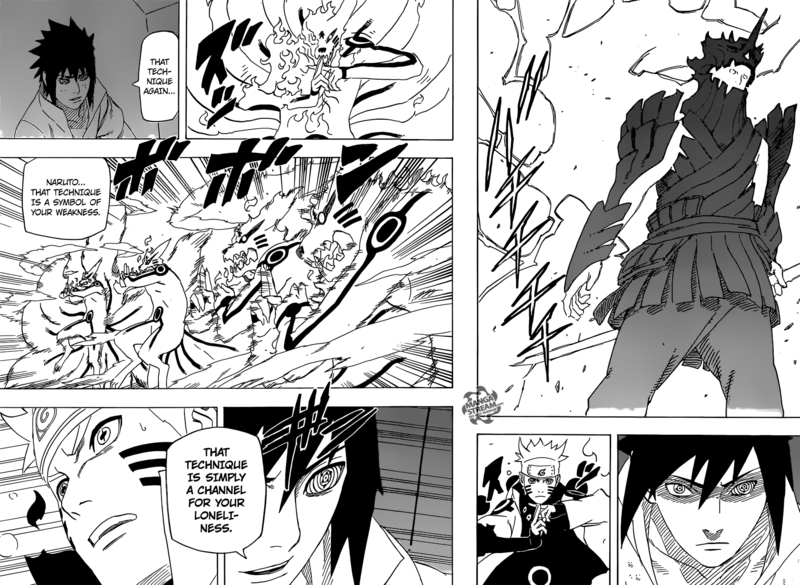 Why did Madara use wood clones to manifest Susanoo while fighting the 5 Kage instead of shadow clones?